Many printed boards for games feature stylized designs and patterns; however, some are not symbolic - but are actually geographic maps. This section of the Museum Website features some of the "Map Games" in the Museum collection. The history of these types of games appear to have their origin in England in the late 18th and early 19th century when map makers hand painted game boards on canvas. 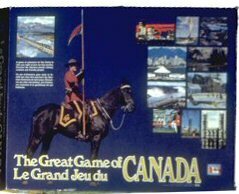 Later as the publishing of commercially manufactured games became more global, game boards were designed with maps on them because the theme of a game lent itself to a map. 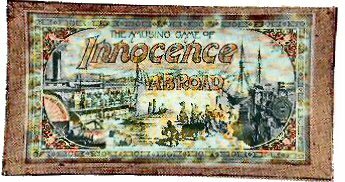 Note games such as "Innocence Abroad", "Race Around The World", and "Kingmaker" among others. 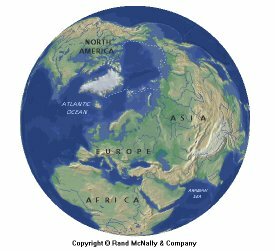 Another early innovation was the development of jigsaw puzzles which were simply maps that were cut up on the boundary lines of a map. 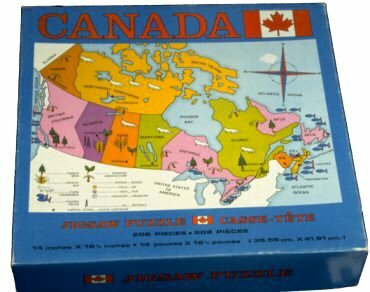 Many of these jigsaw puzzles were marketed not because they were "fun to play" but rather with the notion that they had great educational value. 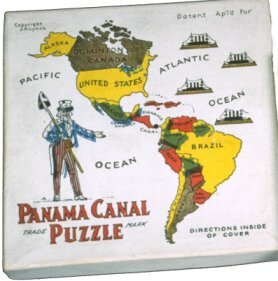 Also in the Museum collection are some "manipulative puzzles" that are also based on maps. Some map games in the collection are truly "antique" in that they are no longer available or for that matter played. One example is the Odyssey TV Console US Map Game. an early computer game for use at home. Here are some other traditional boxed "map games", some are still available and are played today. Click on a picture below to be taken to a page about that game.